Ask and we shall receive! 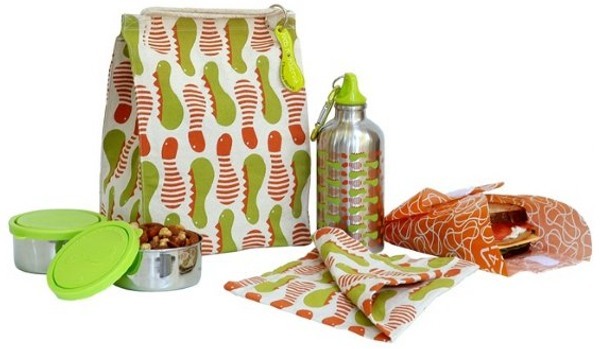 Kids Konserve waste-free lunch kits have just arrived in Australia. We said we’d let you know if they became available locally when we featured the lunch kit in December 2008 and we’re lucky that Design Child was listening! Each waste-free lunch kit has a stainless steel drink bottle, two stainless steel food containers, a food kozy (replacing traditional cling wrap) and a cloth napkin – all in a recycled cotton bag with aluminium name tag. Every item is BPA, lead and Phthalate-free. The kits are $54.95 each plus post, from Design Child.